I really wanted to like this movie. No wait, I didn’t. I mean, who wants to see a movie based not on a book, or an animated series, but a board game? Not me, not you, not anyone. It’s tempting to dismiss Peter Berg’s long, loud and ludicrous “Battleship” with three words — piece of junk. Yet even with all its faults, you have to give the movie some credit, mainly because it rises above every “Transformers” movie ever made. But that’s a small compliment. When Hasbro invented the “Battleship” game, the intention was for kids to use their imagination about what those ships could do. Berg crushes that imagination with his own crude interpretations that seem untouched by human hands and spirit. Yes I know it’s popular. But so is junk food, and they both poison your insides and rot your brain. The plot? Nothing interesting. Alex Hooper (Taylor Kitsch), is a Navy lieutenant stationed in Oahu, Hawaii, who gets caught up in an alien invasion at sea. “Release the Kraken” says Liam Neeson at some point. No wait, that’s not the same movie. I believe the correct words are “Prepare to fire”, or something like that. Very cheesy indeed. There’s also a subplot involving Kitsch and Neeson’s daughter, but that’s another story. Dumb dialogue aside, there’s honestly nothing else to discuss. If you’re familiar with the “Transformers” movies, you’ll know exactly what to expect from “Battleship”. But the question is: are you really willing to go though with it again? Didn’t think so. 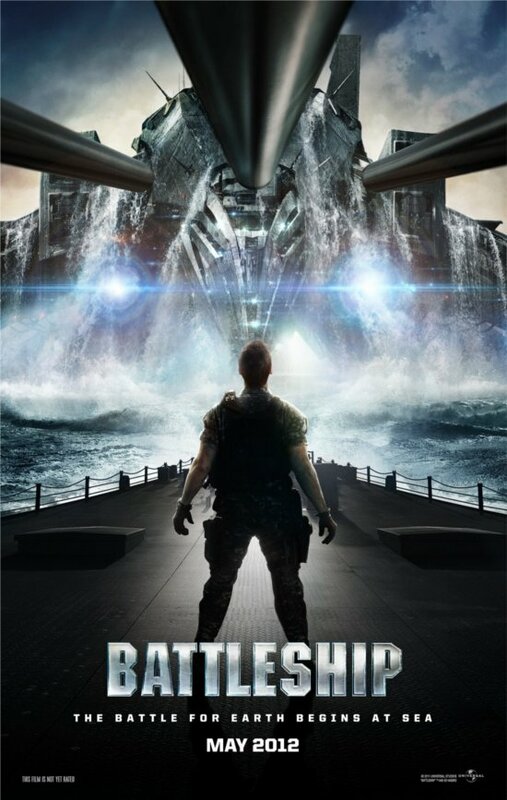 I know there are still 7 months to go, but I’m thinking “Battleship” has a shot at the title of Worst Movie of the year. Good luck. Oh and did I mention that Rihanna is in it as well? (Was Michelle Rodriguez too busy or something?). Hahaha…nice. I almost said the exact same thing. we all agree that Michelle Rodriguez was busy haha. Stupid lousy movie. Rihanna was hilarious in it! She was even annoying than Mariah Carey in “Glitter”. That bad yes. I deleted my facebook account, and I couldnt find your email, I wanted to ask you about something you might help me with.